The allegation that the chief minister of Gujarat did nothing to prevent a ‘series of orchestrated riots’ in 2001 is indeed serious. This needs some deliberation and analysis since this has been the most frequently made charge against Modi, says Colonel (retd) Anil Athale. Just when one thought that enough ink has been spilled on the 2002 Gujarat riots, comes a new event or act to put the focus back on Gujarat Chief Minister Narendra Modi as the sole villain in that unfortunate event. So the criterion for a good character certificate is a US visa! Chilean dictator Augusto Pinochet, a succession of South Vietnamese dictators, Zia-ul Haq of Pakistan, were all issued US visas and feted and honoured in that country. Going by the history of US hypocrisy on human rights issues, the denial of a US visa should actually be a badge of honour! Who wants to be equated with the Pinochets or Zias of the world? But the second part of that charge is indeed serious and that is the CM did nothing to prevent a ‘series of orchestrated riots’. This needs some deliberation and analysis since this has been the most frequently made charge against Modi. A riot is a social phenomenon that is a collective expression of anger/grief and retribution for a perceived wrong. It also signifies a breakdown of law and order. In this situation the police are often hugely outnumbered by angry mobs. To blame the police for riots is akin to blaming doctor for a disease. Riots are more akin to a forest fire that is difficult to control and eventually dies down only after the forest is burned down. The best method to control a forest fire is to create fire breaks or prevent the initial ‘spark’ that starts it. Riots generally have a proximate cause as well as long-term simmering grievance. The horrendous Jabalpur riots of 1961 started with the self-immolation by Usha Bhargav who had been raped, the Mumbai riots of 1993 that were triggered by murder of ‘mathadi’ workers and the burning of a family in Radhabai chawl. The most horrendous Gujarat riots in 1969 (yes, in terms of spread and killings these were much worse than the 2002 riots) began with an attack on Jagannath temple in Ahmedabad. In case of the anti-Sikh riots, the proximate cause was the assassination of Indira Gandhi while the long-term reason was the horrendous killing of Hindus in Punjab for over five years! The anti-Sikh riots cannot be understood without a reference to the Hindus being pulled out of buses and being shot in cold blood by Khalistani terrorists on a regular basis. The bombing of Air-India’s ‘Kanishka’ aircraft in 1985 in which 329 people were killed was the most spectacular among these acts. The Sikhs were perceived to be the supporters of these acts of terror and became the target of mob violence. In the case of Gujarat riots of 2002 as well, while the proximate cause was the burning of the pilgrims in Godhra, the Muslim opposition to the Ram temple and numerous terrorist incidents were the long-term cause. To say that the Gujarat riots of 2002 were ‘orchestrated’ would mean that even the Godhra train burning that triggered these riots was part of the design! So according to these worthies, Modi organised the burning of pilgrims and collected mobs to attack the burning train? A simple question that has never been answered is, would the Ahmedabad riots have erupted if Godhra had not happened? This in no way justifies what happened but is a logical question that the Wharton sages must answer! It has been the Indian experience that serious communal riots have been brought under control only after the Indian Army was deployed. As a member of that organisation, the author is proud that whenever called to do so, the Army has been totally non-partisan and protected Indian citizens irrespective of their faith. 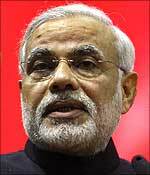 The 2002 Gujarat riots, however, took place under peculiar circumstances. Normally, close to 3,000 soldiers are located in Ahmedabad. But February/March 2002 were not normal times. The Army was removed from peace stations and located on the border, almost 600 kilometres away, in the wake of the December 2001 attack on Parliament. All those who accuse the Gujarat government of ineffectiveness in controlling the riots have deliberately missed out this crucial point. It should be easy through the RTI Act to find out the exact sequence of events, as to when Army help was requisitioned and when the first troops arrived and from where. As an aside, in the case of the 1984 anti-Sikh riots, it is a known fact that the Army in New Delhi and nearby Meerut cantonment was ready but was not called for 72 hours! This evidence is crucial in finding out whether the government of the day acted sincerely or with mala fide intent. It was amusing to see all and sundry demonstrating in the US on the anniversary of these riots. These worthies have forgotten the 1992 Los Angeles riots that went on for six days or the Mumbai riots of 1993 that went on for a week, but yet want to single out Gujarat for condemnation. Nobody has held Hitendra Desai (Gujarat chief minister in 1969), Sharad Pawar/Sudhakarrao Naik (Maharashtra chief ministers in 1993), Rajiv Gandhi, prime minister in 1984 (the central government was in charge of the police in Delhi), Tarun Gogoi, chief minister of Assam, responsible for the riots on their watch. The Wharton worthies as well as the US State Department, hugely influenced by some lobbies, have also forgotten that despite the horrendous attack on the Akshardham temple on September 24, 2002 (29 killed) or the Ahmedabad blasts of July 26, 2008 (60 killed), communal peace was maintained under the same Modi. If he is to be crucified for the 2002 riots, what about these two incidents? While Modi may not admit it, the fact remains that in March 2002 he had been barely in the saddle for six months and had not come to grips with teh state administration. It is noteworthy that he had held no office before this and had no administrative experience. Come to think of it, the only other politician so consistently vilified in India was the late Indira Gandhi! The print media (there was no electronic media then) accused her of every political sin from being a ‘dictator’ (even before the 1975 Emergency). She was equally unpopular abroad, with former US President Richard Nixon using choicest abuse against her in private! The strongest point of Indira Gandhi was her staunch nationalism. Even her worst critic never doubted that. The other trait she exhibited was tough and ruthless action where the national interest was concerned. One has a sneaky suspicion that it is this very combination that some see in Modi and therefore there is a concerted campaign to malign him and somehow prevent him from assuming a leadership role. Imagine an India led by Modi being browbeaten by Italy, Sri Lanka, Pakistan, China or the US? It is this conviction that seems to motivate his critics. If Indira Gandhi’s political success is anything to go by, then Modi should not be worried. However, as a nationalist Indian who has some experience and knowledge about the internal security issues (as well as practical experience of dealing with riots), it is time that Modi’s and India’s critics need to be exposed for their double standards, hypocrisy and sheer lies. Colonel (retd) Anil Athale is a former Shivaji fellow of United Services Institution on internal security and co-ordinator of the Pune-based Indian initiative for peace, arms-control & disarmament.